Our lives revolve around the water and a thirst to continually learn, be challenged as well as personally grow. This naturally results in an interesting mix of qualifications and experiences. We hold national as well as STCW offshore Maritime qualifications, allowing us to operate a wide range of vessels on the surface of the water. Beneath the water we indulge in recreational diving as PADI professionals as much as commercial dive work under ADAS. We simply love what we do and the people we get to share memories with. Our extensive history navigating around Fiordland as well as Fouveaux Strait has allowed us to gain a wealth of knowledge about the southern and northern Fiords as well as our wild coast.As we venture through these remote places the safety of the vessel and all persons on board is our priority. Which is why we are working within a team where we all have the same ethos and a sound understanding of our surroundings. So thanks to our awareness, qualifications and training we’ll make sure you’ll experience your trip of a lifetime.. fishing, diving, kayaking, photography, history, hunting, scenery, geology and enjoying good times that leave great memories. Running a charter vessel in paradise and sharing it with beautiful people is a privilege for us. 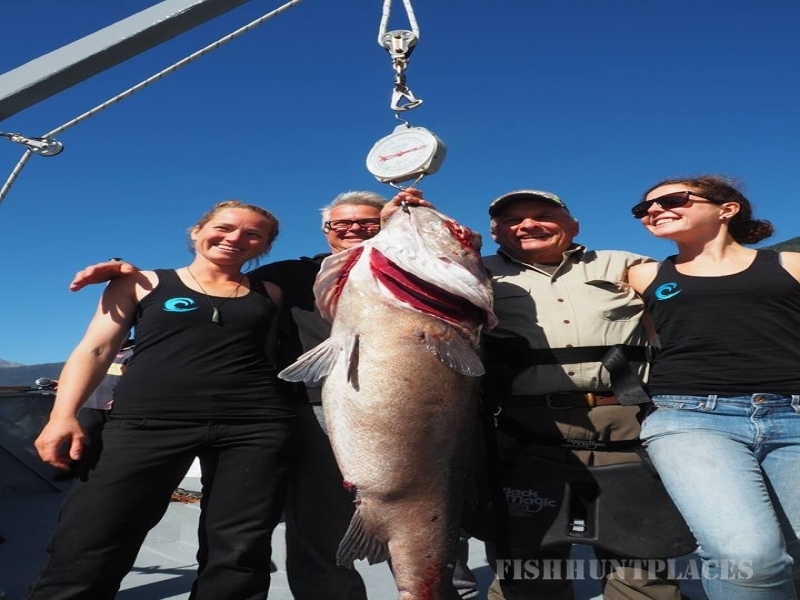 Fiordland is a very special place for fishing as there two different fishing areas with a wide variety of local and seasonal fish species to be caught. 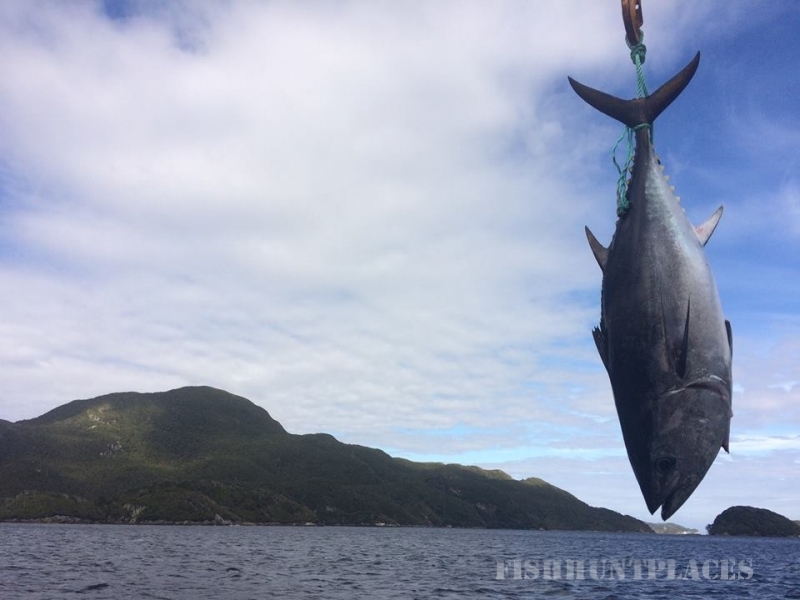 The outer Fiords and the Fiordland coastal waters are protected from over fishing thanks to the fact that it is open to or part of the Tasman Sea. A stretch of water which used to be known as “The roaring forties” because of the sound the wind made in the rigging of the sailing ships. When the weather allows us to do so we venture out into the big boys fishing grounds to get the fishing rods bending with all sorts of treats to put on the dinner table. The internal waters of the Fiords are protected from the weather which means endless fishing oportunites and also tighter local fishing regulations that only allow a feed to be taken from these waters. This is how we keep the fish stocks the way they are supposed to be so that generations to come can enjoy the same childlike wonder about the bounty of Fiordland waters. As much as there is to do on board, within the National Park as well as in the water life naturally slows down in a place like this. So far from civilisation and in tune with the natural rhythm of sun and tides you’ll find yourself truly relax. Some people like to be active to wind down others simple enjoy being in the moment, finally getting to read THAT book or watching the scenery go by. Despite the area’s rainfall, which can be a massive eight metres annually, below the surface layer, it is clean and clear with an almost twilight hue. Here the visibility opens up to between 20–25 metres or more in places. You will come through kelp forrests and great plumes of butterfly perch, particularly around black coral and any sunken branches; to find yourself diving in the company of large terakihi, moki as well as copper moki, blue cod, ocotpus, butterfish and trumpeter. Adding to this mix are inquisitive stingrays, spiny dogfish and seven gillers representing the shark family. 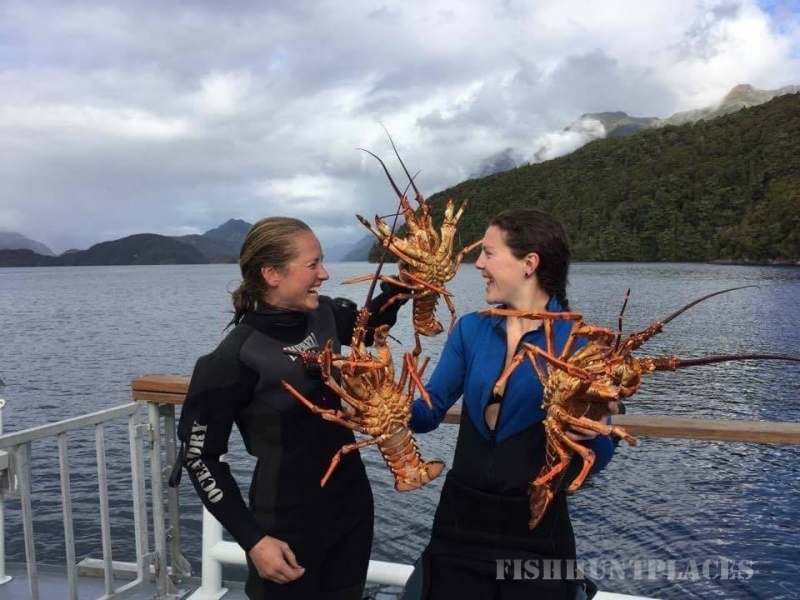 Not forgetting large amounts of Fiordland Rock Lobster and the chance to come across a mainland Hapuka. You won’t want to get out of the water. Within the 1 250 000 hectars of National Park are endless trails to explore the unique temporate rainforest. Most of the tracks are fromed by Department of Conservation in order to set and check traps as part of their pest erradication programs. So some of the trails even allow you to venture through pest free areas and across islands with a chance to spot rare and endangered birdlife. So be it the want to simply stretch your legs, train for your next mountain run, get lost in the rich fauna or hope to glimpse unique birdlife.. a walk through the Fiordland Bush is something special. 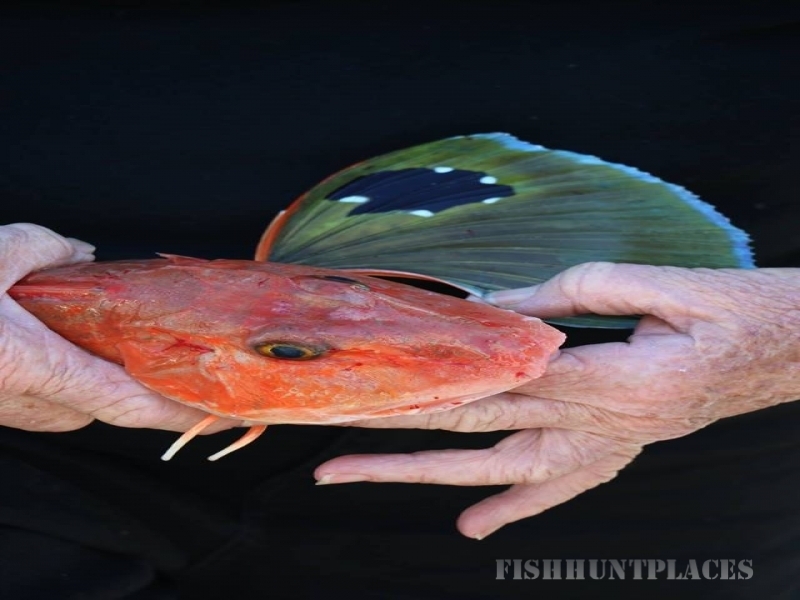 Just to give you an idea of the species that can be caught in the area.. Blue Cod, Groper (Hapuka), Tarakihi, Gurnard, Kingfish, Tuna, Ling, Bluenose, Flounder, Mussels, Crayfish, Scollops, Paua, Cockles and Kina. Diving in Fiordland is special not only because of the beautiful natural environment and the marine reserves that exist here, but also because of an interesting effect caused by the high rainfall in the area. As the rain flows through the lush forests it becomes stained with tannins and that stained fresh water forms a layer on top of the seawater. Much like a pair of sunglasses this layer filters out more light so sensitive species that normally live at great depths can be found much closer to the surface. This gives divers the opportunity to see rare species relatively shallow depths. There is nothing quite like gliding past the steep mountain faces that continue down from above the surface.. ancient black and red corals, schools of fish, reef communities, braciopods, crayfish, seadragons, sharks, seapens, rays, scollops, jason nudibrancs, paua and the list goes on. It doesn’t matter if you are looking for your dinner, enjoying the moment or captureing life with your camera; you won’t forget a dive in Fiordland. Jump into a kayak or onto a paddleboard and get close and personal with what surrounds you. Explore the rich pre European as well as early European history of the area. Simply indulge in some of the stunning local seafood. Get into fishing and collecting seafoodyourself. Jump in for a SCUBA dive for some of the best diving in the world. Explore this fascinating underwater world and its marine life whilst free diving. Go for a walk in this beautiful subtropical rainforest and its island sanctuaries. Bird watch and learn more about the flora. Try your luck at hunting some of the introduced deer. Observe and understand the local ecosystem and wildlife. Get lost in photography or purely relax and soak up the atmosphere. Let yourself be humbled by the atmosphere of powerful solitude and embrace IT whichever way is right for you. Hunting is encouraged in New Zealand’s National Parks to keep the population of introduced animals to a manageable number as they have no natural predators. Deer can be found everywhere from the mountaintops down to the shoreline. In April during the Roar (Rut) Stags can be heard roaring across the fiords. A Hunting permit is required to be able to hunt within New Zealand’s National Parks. Permits can be obtained free of charge from the Department of Conservation by clicking here or by walking into any DoC office.